I discovered this mosquito repellent when I was pregnant and heading to a part of France that I knew was rife with mozzies. Realising I couldn’t use standard repellents I was desperate for a product that didn’t contain DEET, which isn’t recommended for use by pregnant women or infants under two. 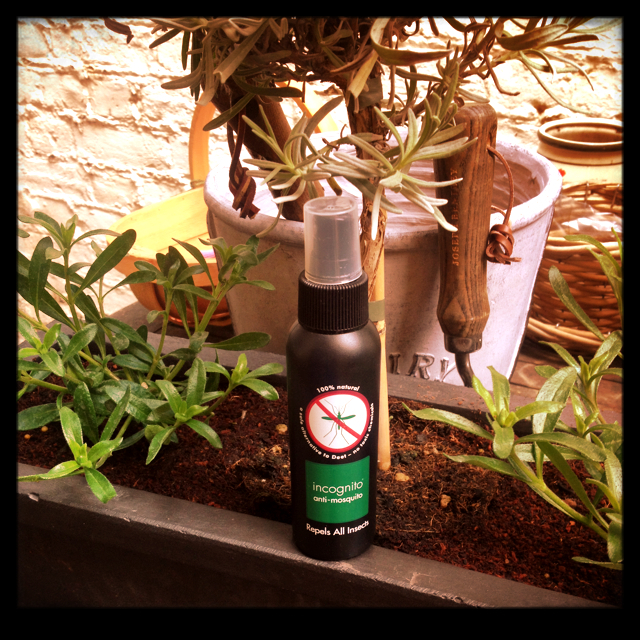 incognito is 100% natural, meets UK safety and efficacy standards, and is repellent to ALL insects. It’s even safe for babies and those with sensitive skin (they suggest a patch test first, just in case). The incognito website makes some fantastic claims as to its potency against insects. I can’t vouch for all the claims but it is easily as efficient as any other product I have used. Normally I am a beacon for mosquitos and I had read that pregnancy hormones would make me even more desirable, but on said holiday I was the only one out of a group of twenty who didn’t get bitten. I’ve used it ever since. The smell – a lovely citrusy scent with a tinge of eucalyptus – means it doubles up as a summery perfume and is far less stinky than its more toxic competitors. Available from: Holland & Barrett and the incognito website. I am allergic to Mosquitoes (skeeter syndrome!) and have to shower in bug spray before I leave the house everyday in the summer. I read your post and bought a bottle and it worked! No bites! And I didn’t smell like an old lemon! Whoop whoop.